This is a gem for fans of the Real Music label. 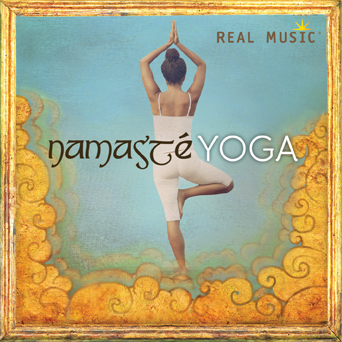 Namasté Yoga, the fifth in the label’s popular Namasté series, gives you the chance to revisit your favorite artists perfectly sequenced, and ideally combined for yoga, meditation, massage or any relaxation experience. Artists on this release include Sacred Earth, Karunesh, Ben Leinbach, Rajendra Teredesai, and more.